WHAT EXACTLY MAKES THESE ACs SMART? No Working Range Limit - By this feature one can use AC from anywhere in the world by using Smart phone. 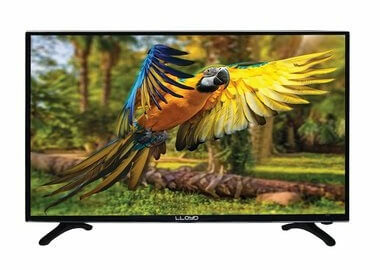 Cost Saving – No Need to Worry about Battery change also no tension for Remote damage/not working. Enjoy Comfort Cooling - In Extreme Hot whether while reaching at home you can switch ON your AC in advance, so that while reaching home it will already cool & comfortable. Clicking on this icon would re-direct you to the respective app store where the application can be downloaded. 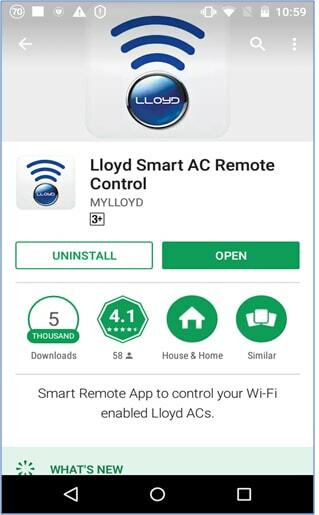 Note: If the Smart AC Remote app has already been installed, then clicking on the icon would directly open the app instead of re-directing you to the app store. 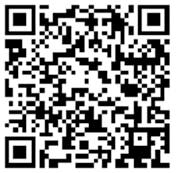 Click on Sign Up button to receive the one-time password to your registered mobile number. 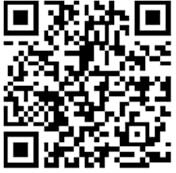 Enter the valid one-time password and then tap on Submit OTP. After successful verification, registration process is finished and App goes to the device list screen. 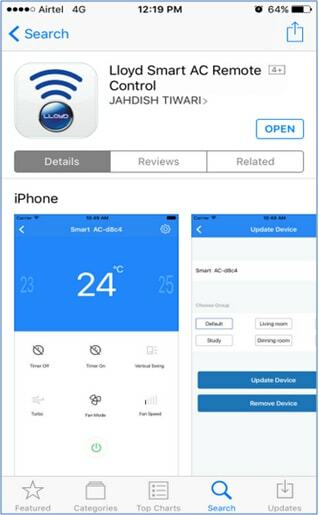 Click on Add Device button in the device list screen to start configuring your smart AC. 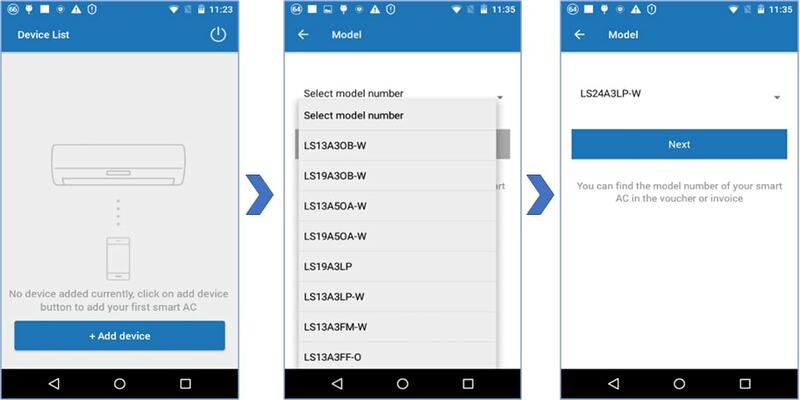 Select the model of your device from the list provided in the model screen and click on Next button. Note that more than one device can be configured on the same smartphone. Some selected models can be configured on multiple devices. Follow the instruction given in the screen to Reset your smart AC before proceeding further and click on Next button. 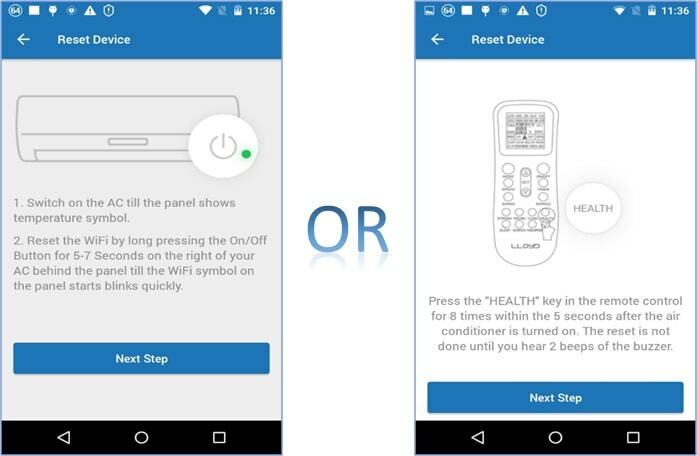 Enter your Wi-Fi credentials to configure the Wi-Fi connection in your smart device and click on Next button to start the configuration process. Upon clicking on Update Device, you will be redirected back to home page with Device List screen. SETTING THE TEMPERATURE : Swipe right or left on the screen to control the temperature of your AC. 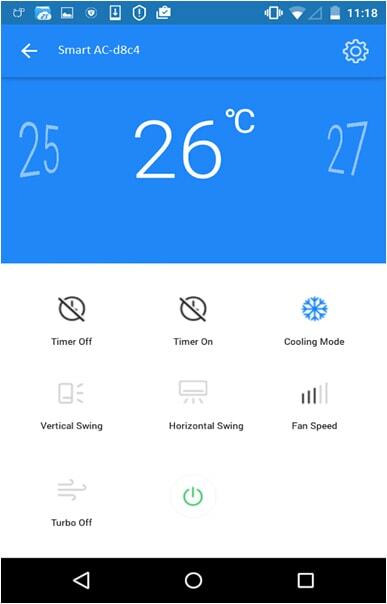 CHANGING THE MODE : There are four different modes (Cooling, Auto, Fan and Dry) in your AC which can be controlled by clicking on "mode" icon in the screen. CONTROLLING THE SWINGS : You can control both Vertical swing and horizontal swing of your AC by clicking on vertical swing or Horizontal swing icons (if available). TURBO MODE : Turbo can be Switched On/Off from this screen by clicking on Turbo icon. SET A TIMER : You can set both the timers "Timer ON" and "Timer Off" and the device will switch process automatically based on the time set.